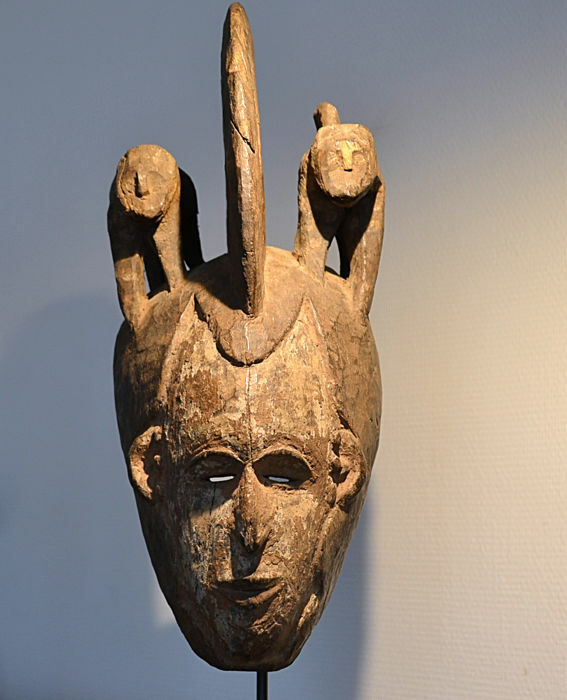 this is an authentic, tribally used Maiden Spirit Mask (Agbogho Mmuo) from the IGBO of Nigeria. 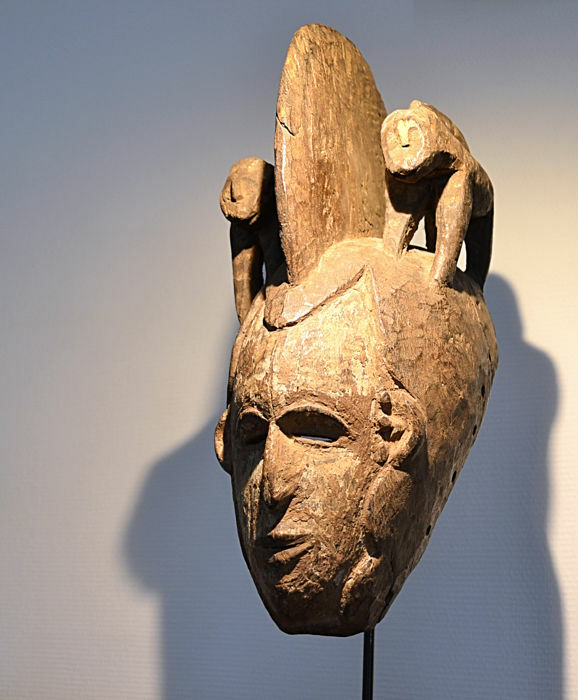 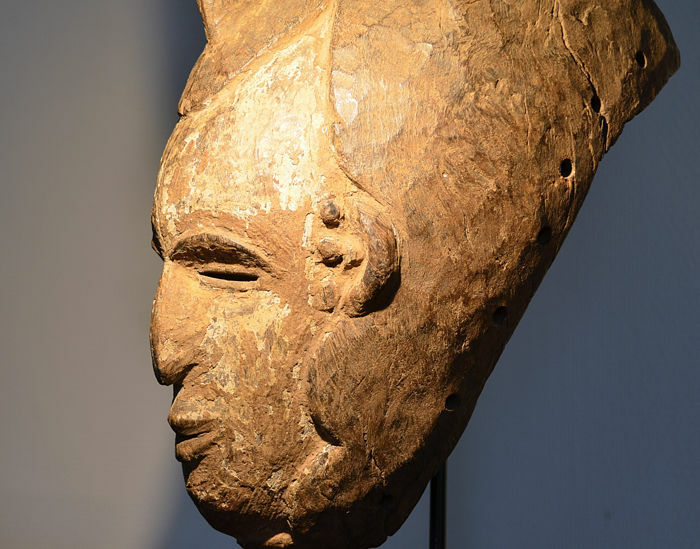 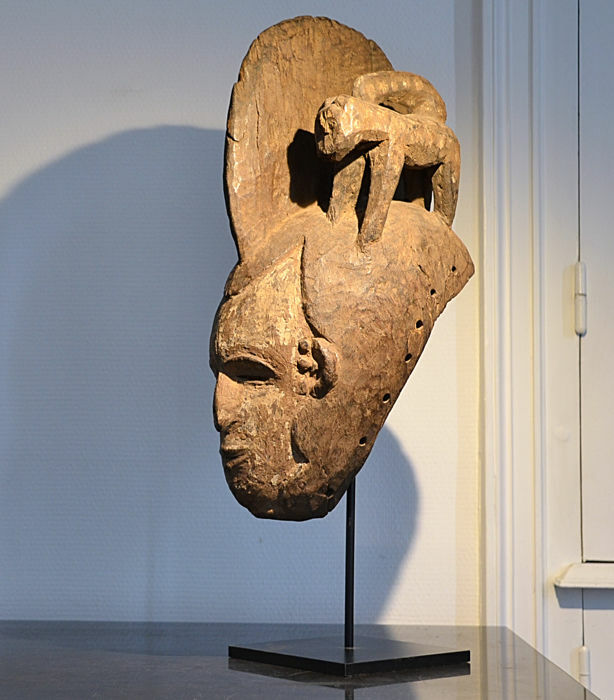 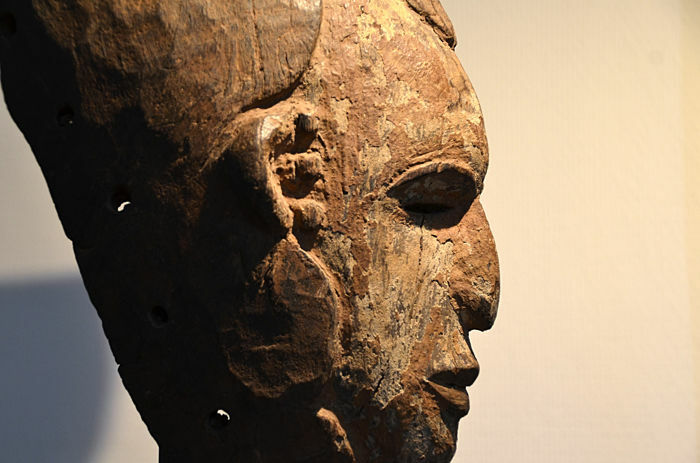 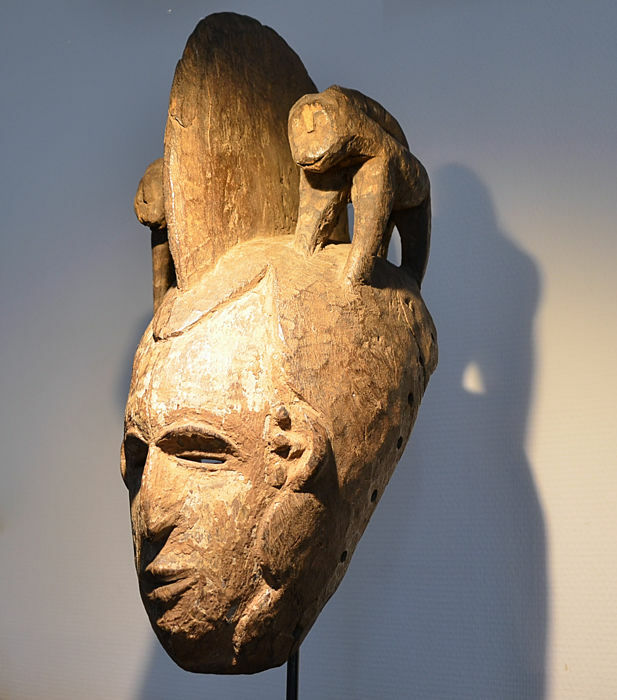 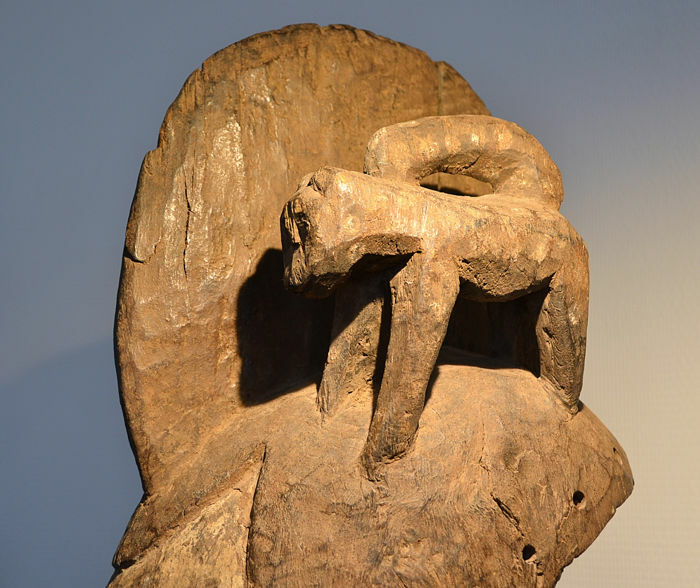 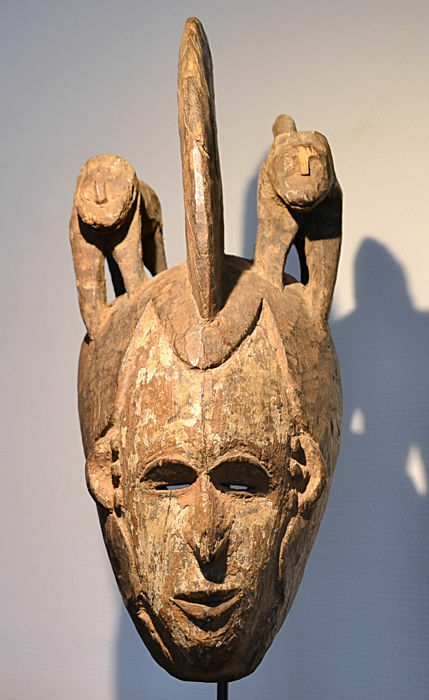 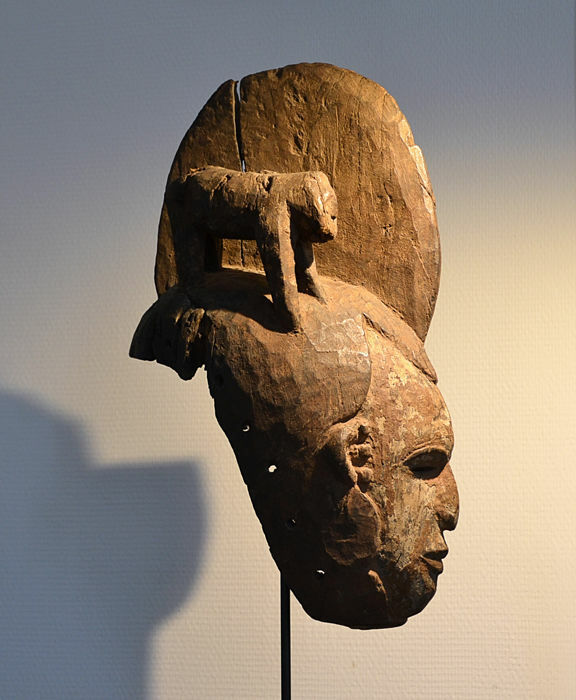 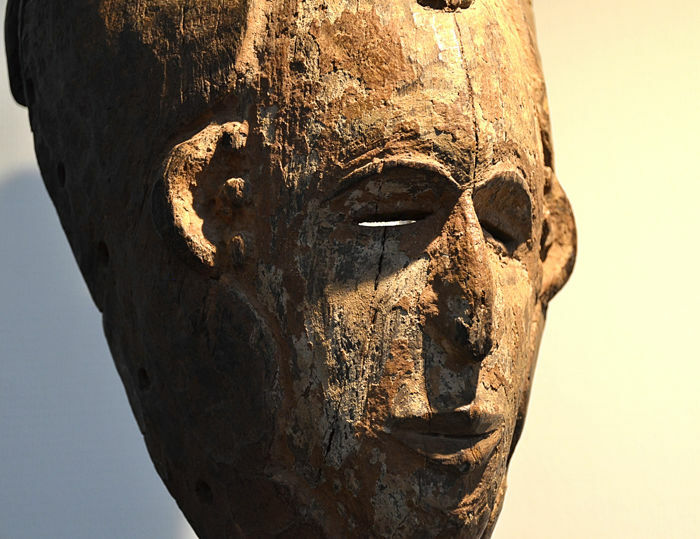 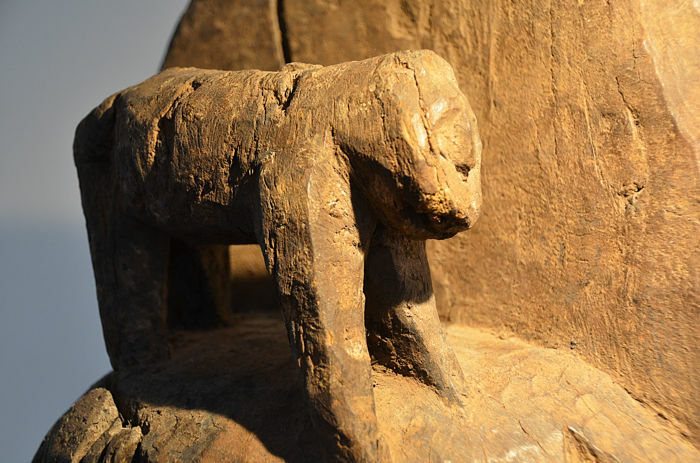 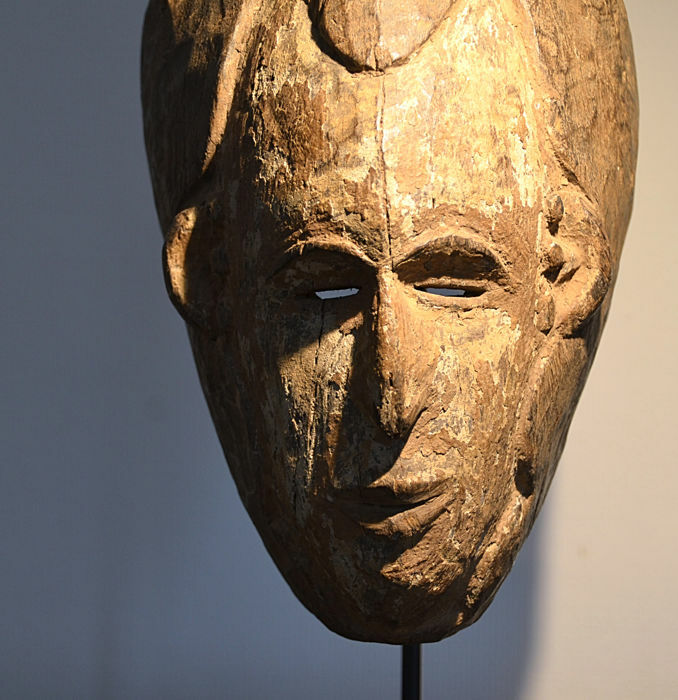 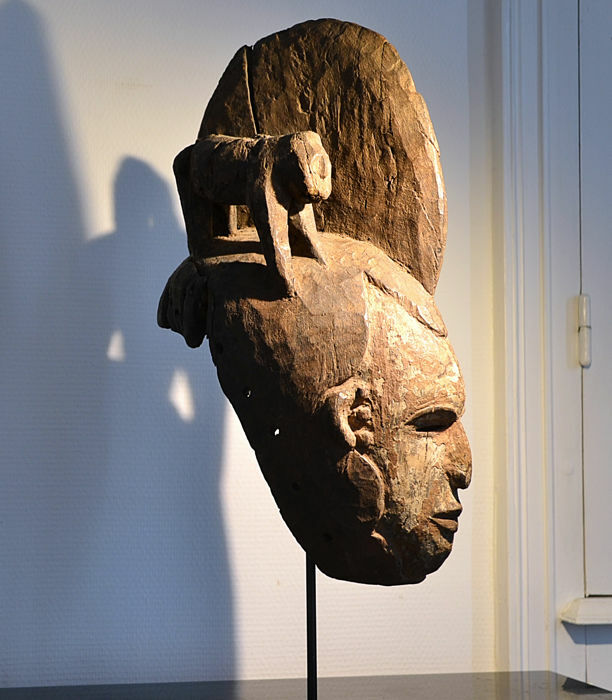 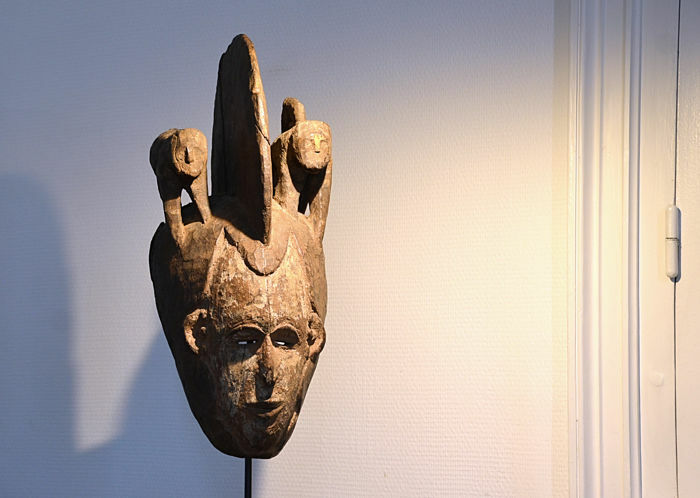 The present mask is made of hard wood, and shows the typical natural facial features of IGBO masks, including a high, narrow crested coiffure - in this case with an animal (probably a cat) on either side of the crest. 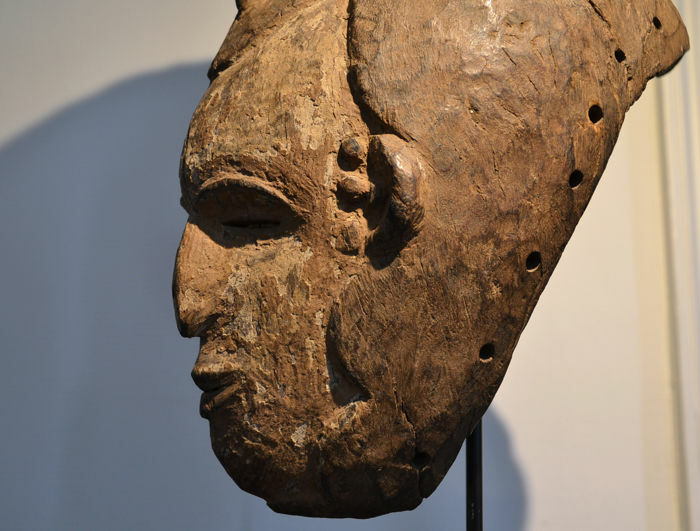 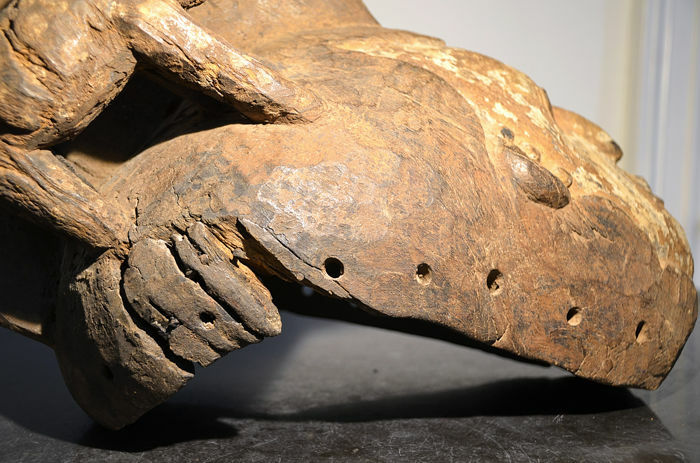 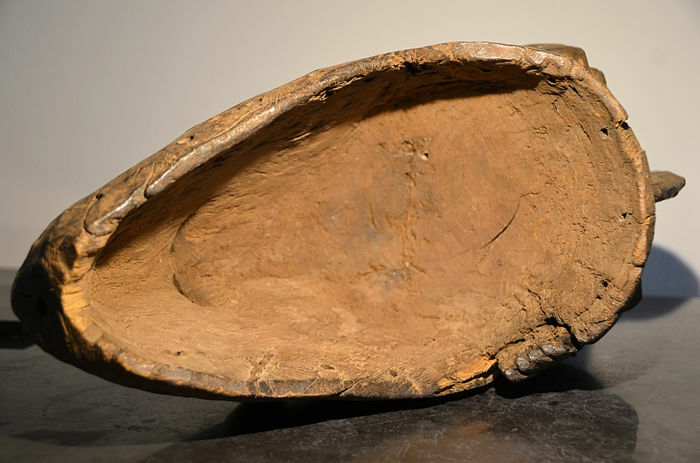 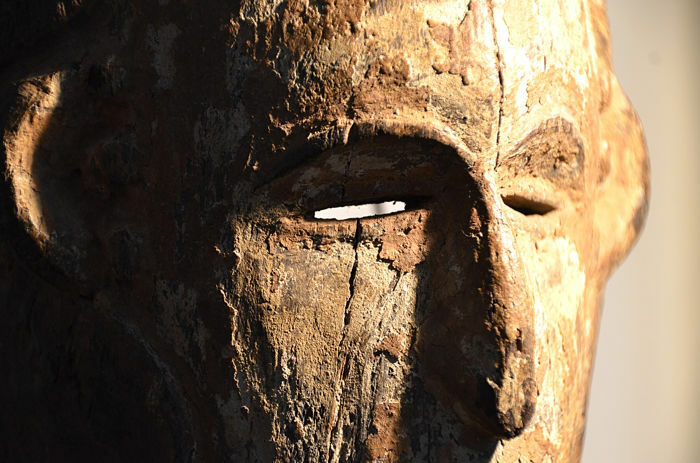 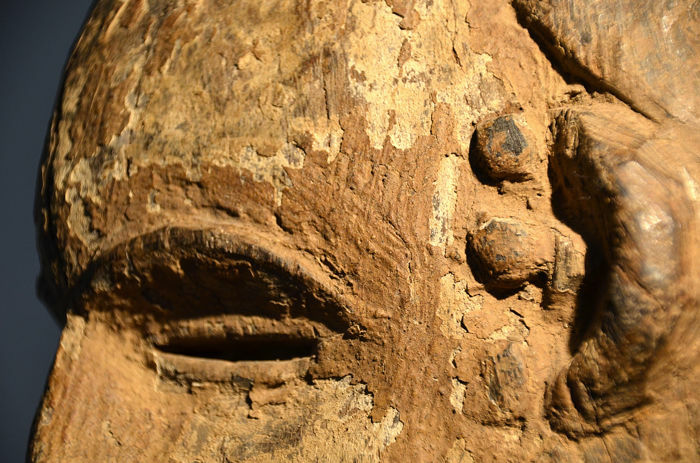 The masks face is covered with an encrusted light brown patina. 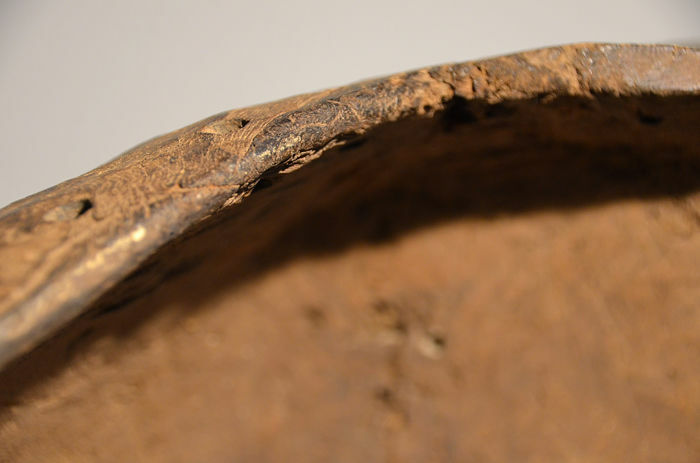 A presumably indigenous renovation using nails at the back of the rim can be seen on the photos.